Why drug tests for dementia fail and what can be done about it. 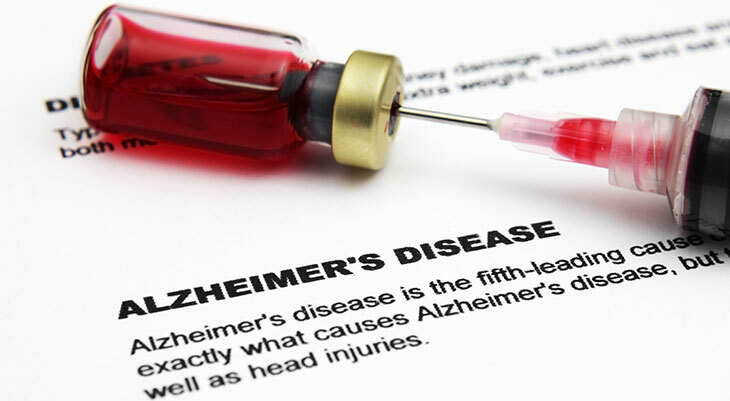 Editors' note: This is part three of a three-part series on Alzheimer's disease and the current state of research and treatment. Part one is available here and part two here. (Inside Science) -- Alzheimer's is a graveyard for expensive drug tests. One study showed that between 2000 and 2012, 244 compounds were tested in 413 clinical trials. Only one was approved for use, a failure rate of 99.6 percent. Cancer drug tests fail at 81 percent. In at least one case, a potential Alzheimer's drug test was stopped because it appeared the drug could potentially kill subjects, showing how little is known about potential treatments even when testing has already begun. Although no one knows exactly how much the pharmaceutical industry is spending on Alzheimer’s research it likely is in the billions. The National Institutes of Health will spend $586 million this year and $638 million next year—$2 billion since 2011—and the tests have all been failures." It's not that the drug has failed but that we've learned nothing," said Simon Lovestone, director of the U.K. National Institute of Health Research's Dementia Biomedical Research Unit at King's College, London, speaking at a meeting of the American Association for the Advancement of Science in San Jose, California, in February. "It's a tragedy. It's more than a tragedy, it's a scandal. We don't even know whether the drugs are any good. One of the principle reasons is that the studies are perfect examples of imprecision medicine," Lovestone said. That is true of every trial that's been conducted in Alzheimer’s, he said. "Twenty-two percent of the people who participated in these trials, didn't have significant amounts of amyloid [plaque] in their brains. You are testing drugs on people who do not have the pathology you designed the drugs to do something about. "Well, good luck with that,” he said. Drug tests are divided into four groups. Phase 1 trials are done on small groups of volunteers just to see if they are safe. Phase 2 trials are on larger groups to see if they work at all and also check safety. Phase 3 is a test of an even larger group for efficacy, to see if they are better than what is already available, and again, safety. Phase 4 is to watch the drug after it goes to market. No drug is approved until it has passed phase 3. He said many of the drugs used in phase 3 trials, the rounds of tests that are supposed to determine if they work, should never have passed through phase 2 because there wasn't "good enough proof of concept in phase 2." "We can be smarter," Lovestone said, by starting trials earlier in the disease process and letting failure occur earlier. The goal is to spot Alzheimer's before a person knows they have it. Scientists are taking two approaches that might detect Alzheimer's disease before symptoms: imaging and biomarkers. Imaging has been somewhat successful, particularly using fMRI, or functional magnetic resonance imaging. William Jagust, a neuroscientist at the University of California, Berkeley, said at the AAAS meeting that the device can image proteins such as amyloid and tau in living brains. "There's relatively good agreement that we can pick those kinds of things up with the current techniques," he said. Scott Small, a neurologist at Columbia University in New York, uses fMRI to "dissect" the hippocampus, the part of the brain involved in short-term memory and spatial relationships, exactly what the cognitive testing evaluates. Functional MRI can also spot schizophrenia. The other approach is to find markers in spinal fluid that would indicate the presence of amyloid and tau in the brain. Because the cerebrospinal fluid washes the brain, it would indicate the presence of the two proteins. If there is only a little bit of amyloid in the fluid, it is likely in the brain, which is bad news. If there is plenty of tau, the person also is more likely to have Alzheimer's. Both techniques are particularly useful in patients with some of the early signs of cognitive decline. The problem with the biomarker tests is that they involve a needle puncture into the spinal column, a process that is invasive, sometimes painful and risky. That's one reason it is harder to get participants in trials for these tests. Scientists at the University of Oxford and Kings College London, led by Lovestone, have devised a test that measures 10 proteins in the blood that predicts which people without symptoms will acquire Alzheimer's with an accuracy of 87 percent. One test with great potential is just beginning. It’s called A4, or Anti-Amyloid Treatment in Asymptomatic Alzheimer's Disease, said Reisa Sperling of Brigham and Women's Hospital in Boston. It is the one "really exciting thing" to come along in the last 10 years, she said. The theory is based on the logic that if you begin looking for Alzheimer's disease before it gets to the stage known as mild cognitive impairment, it may then be possible to see whether a therapy that fights the amyloid would make a difference. The researchers will enlist 5,000 healthy adults above the age of 65, looking for around 1,100 subjects who are at high risk of Alzheimer's. It will be a double-blind study, the gold standard for scientific testing. Researchers will not be seeking those with above-average intelligence or education as the assumption is that they are less likely to have amyloid accumulation during the three-year span of the test, nor is it going to study those with Alzheimer's symptoms. PET imaging scans showing evidence of amyloid will be used to screen subjects. The drug being tested is solanezumab, a drug aimed specifically at slowing the growth of the amyloid. It was the first drug deemed safe enough to start a trial on "normal people," she said. Other drugs will come next. The A-4 will start later this year. Two recent tests have drawn some attention. A drug called aducanumab, developed by a Cambridge, Massachusetts biotech company called Biogen, and tested on 166 patients, showed statistically significant improvement on reducing the plaque and slowing cognitive impairment. It is slated for a phase 3 test using far more subjects. Australian scientists reported reducing plaque in the brains of mice using ultrasound. But what works with mice often does not work with humans. All these treatments have to pass each step of the testing process, a process that has eliminated virtually every other treatment tested and takes years. Part of the problem is the failure of researchers to make use of what is now called big data. Europe and the UK have nationalized health systems, which make collecting huge amounts of electronic data from patients easier since it ultimately all goes to a single source, he said. Lovestone said that one hospital in England, aligned with Britain's National Health Service, now has eight times more data than was previously available in the entire world. Some studies involve hundreds of thousands of people, and the potential is in the millions. "I can now guarantee to collaborators that I can get you every sample you need for biomarker studies," he said. "I know I can. They are in freezers all over Europe," he said at the AAAS meeting. Alzheimer’s research is greatly expanding in the UK. Prime Minister David Cameron announced the Prime Minister’s Challenge on Dementia 2020, to make Great Britain "the best country in the world for dementia care and support." Research funding is going from £26.6 million (around $40 million) to £66.3 million (almost $100 million) this year. Former prime minister Margaret Thatcher died of dementia. Another study in the UK, funded partly by the biomedical research charity Wellcome Trust, is "the single largest drug development program anywhere in the world," ranging across Britain and Europe. All the results from the tests are given away free — no patents. "It is entirely open access," Lovestone said. "Intellectual property inhibits creativity. "I am confident we will be successful in what we do," he said, "not in producing a drug that works but developing targets to the point where it is good preclinical proof of concept." That would be a start toward understanding the disease and how to treat it, which we don’t have now, he said. Then, perhaps, scientists can find a treatment for Alzheimer's. This is the third story in a three-part series about the current state of research into and treatment of Alzheimer's disease. You can read part one here, and part two here.